HollowHorn wrote: Brilliant photo, BH, I'm gobsmacked! Yes, nice one BH. If the postcard dates from 1907 then the Kingston Halls & Public Library would have been brand new as it was finished in 1905. 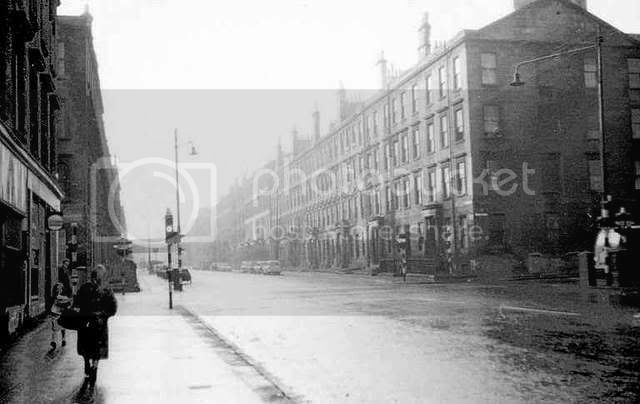 The photo really puts me in mind of Abbotsford Place in the Gorbals, possibly at the junction with Bedford St ...looking south? Hmmmm...The porticos would seem to fit. I think the tenement block with the stonework painted on its lower two storeys is the clincher. I thought so too, Neil, but wondered if the 'paint' was actually sunshine? I'd say it's definitely Abbotsford Place and I've just noticed VM has it under 'Abbotsford Place' as well as 'Pollok St'! I reckon it is Cathcart Road. Regardless of which streets they are....they are excellent photographs of old Glasgow (1950's?). I thought one looked like Abbotsford Place off Bedford St. where My doctor used to be. You've got a fine forum here and somehow I stumbled upon it. Glad I did. 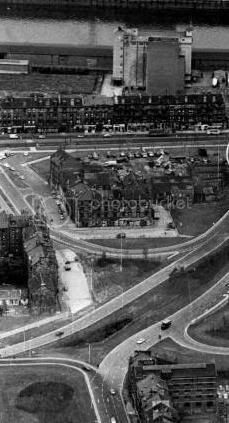 I remember Pollok Street well, even the gardens in the median. I lived there for a few months in the winter of 1971 or 1972. It was pretty grim. The tenements were neglected, the gardens threadbare. I was 20 years old, poor, couldn't find a job for some reason and I remember walking into the town center because I did not want to spend money on a bus. 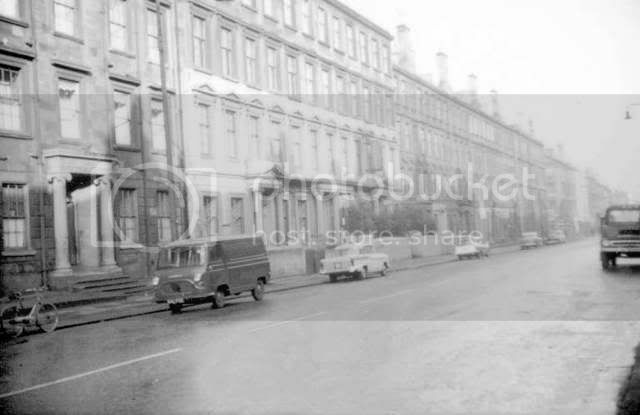 Eventually I went back to London and when I came to Glasgow several years later, Pollok Street was gone and Glasgow no longer seemed so forbidding as it did the early seventies. Does anyone know the history of 21 Abbotsford Place, they were listed as being married there, was this like a registry office or something? I would be so grateful if you got in touch as have hit a brick wall so to speak.